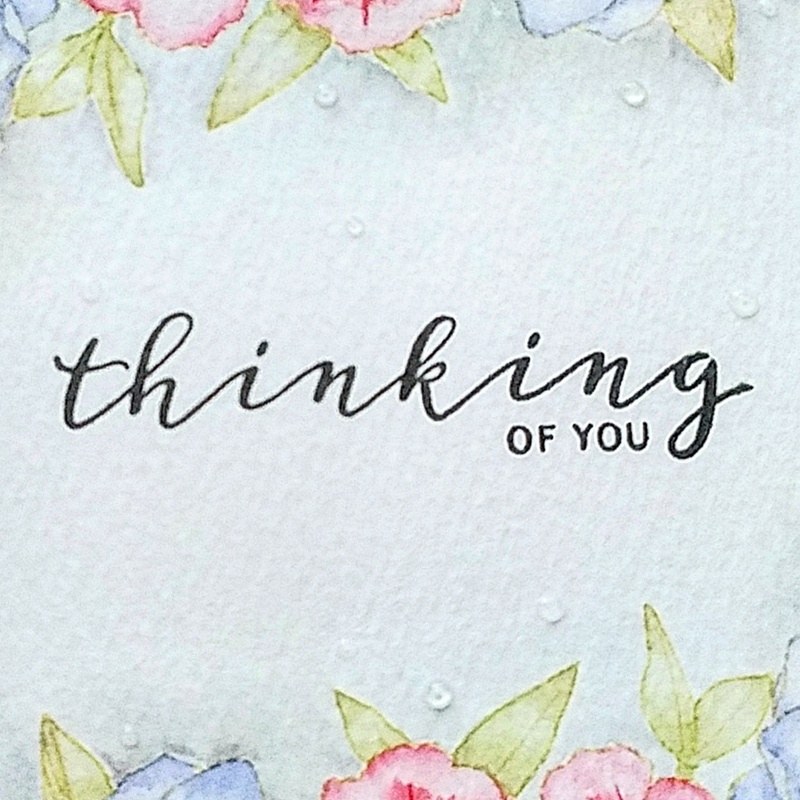 I've got a sneak peek of the card I'll be sharing over on the Butterfly Reflections, Ink blog tomorrow, and I hope you enjoy reading tomorrow about how I created it! I can't believe another school year has raced by. In January, I left my previous job to start a new chapter and began working for a financial services company. After being in school since I was 5 then immediately working for 6 and a half years at a university straight out of graduate school, I was BOUND to the school year schedule. Then, suddenly, I went to a place where I was chained to the fiscal year calendar and a set of deadlines from the IRS. But, I'm married to a teacher, so I'm definitely still tied to the ebb and flow of the school year calendar to some extent. Which is perfectly fine with me. I get excited right along with my husband when he gets a random day off or, like right now, when we're in the final days of the school year. I feel like the summer "break" truly started to feel like an actual event when I attended my niece's kindergarten graduation last week. That's right, you heard me: Kindergarten. Graduation. Because, apparently, that's a thing now? I never had a kindergarten graduation when I was a kid, and neither did most of the people I know. But....don't mistake me. While I was kinda scratching my head over the idea of a kindergarten graduation, Aunt Kelly was ABSOLUTELY thrilled to go and super proud to watch her Bunny. She and all her fellow K5 compatriots stood on stage and sang songs about speckled frogs in a pond, losing a tooth, the Eastern United States, the "ch-" sound, etc. And, let's be honest. I probably would have made valedictorian in my high school graduating class if I had learned even half of these adorable songs to remember simple things like...which state is next to Alabama. My prediction is that, in another 20 years, people won't use google nearly half as much as they use it now, because...HELLO?! I have to look at a map when someone asks me what state is next to Alabama (which happens all the time, naturally). But all these adorable 5-year-olds have these cute and catchy songs that they can sing to themselves when they are asked the same question. The event was sweet and precious, but I hope my niece isn't disappointed when she graduates from college since that ceremony won't be nearly as fun. Or colorful. It's even doubtful that any songs will be sung about speckled frogs. Anyway, back to our summer plans. My husband and I are going on vacation with my family to the beach during the first week of June. This trip is definitely one of the highlights of the year for us. Imagine the conversation-around-the dinner-table-scene from "While You Were Sleeping" combined with every episode of "Parks and Recreation" and then throw in an irresponsible amount of pie and ice cream consumption mixed with sunburns, wii competitions, and general toddler hilarity, and you'll have just a vague idea of why we're still talking about the annual beach trip months after it happened. I.cannot.wait. Then my husband is actually staying on the coast to attend some continuing education training at The Citadel. So he will be gone for an entire week (DURING our anniversary, I might add), and it's looking likely that I will sustain permanent damage to my emotional psyche with him being gone. 😉 But after he returns, we immediately head out to Oregon for his sister's wedding. After we get back from Oregon we will no doubt celebrate our anniversary in some way and then we will spend the rest of the summer hoping that the days somehow miraculously slow down before my husband heads back to the drudgery of the school year schedule. We are also planning to have a furry little addition join our family, so the adventure of becoming doggie-caretakers will no doubt be good material to share here on the blog. I hope that whatever your summer plans are, they include some time to relax and enjoy extra time with family! Thanks for stopping by today!